It was a real honour to be asked to play for Camilla and Gareth’s wedding this weekend at the stunning Dodmoor House in Northamptonshire. Taylormade have been performing for Weddings at Dodmoor House for almost 6 years now and we are proud to have become one of their preferred suppliers. We began our part in their big day by playing in the courtyard barn for the Drinks Reception whilst Camilla and Gareth had their photos taken with their guests. The brand new Mr and Mrs Anthony were then taken off in their Wedding cars.....a Rolls Royce Phantom and Ghost for some amazing shots nearby! Camilla and Gareth had chosen some gorgeous songs for their day with a mix of festive favourites too. We played tracks like ‘A Thousand Years’ by Christina Perry, ‘We Found Love’ by Rihanna through to ‘Last Christmas’ by Wham and ‘White Christmas’ by Bing Crosby which had everyone crooning along! Our second set was early evening as the evening guests were arriving. This was a more lively affair with spontaneous dancing breaking out and some hilarious backing vocals from guests along to ‘Save Tonight’ by Eagle Eye Cherry, ‘Ghost’ by Ella Henderson and ‘All I Want For Christmas’ by Mariah Carey. We were sorry when our set came to an end and had a brilliant time performing for this lovely couple. We’d like to wish Camilla and Gareth the very best for their lives together and thank you guys so much for having us play on your special day. As with the first set above, we can play beautiful background music during the Drinks Reception, adding a lovely atmosphere whilst you sip Champagne and allowing your photographer to organise everyone with ease to get all the shots you want of those special memories. At Dodmoor House we set up in the Courtyard Barn which meant guests could stroll throughout the venue and gardens, whist still being within earshot of our performance. The second set was just perfect for a smooth transition into the night, for greeting the evening guests and warming everyone up ready for the evening entertainment. More lively than the previous set, an early evening set is perfect for that crossover time where the Wedding Breakfast has finished but the evening party has not yet started and the venue need to take some time to turn the room around. This keeps guests entertained, warming them up for the DJ/Wedding Disco but also giving guests some time to relax and allowing the Bride and Groom to greet and chat with their evening guests in a fun and relaxed atmosphere. 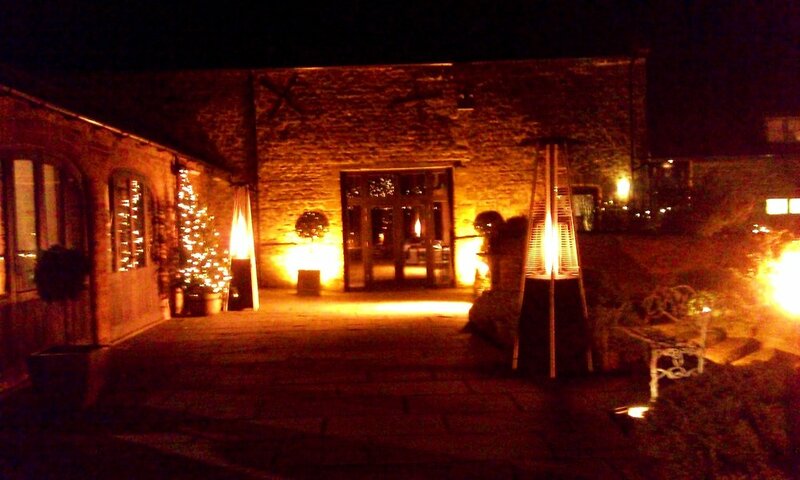 Dodmoor House is the perfect venue for this as the courtyard barn is separate to the main dancing area meaning the venue can turn the room around ready for the evening party without having to disturb the guests or making them go outside into the cold. We really hope these tips will give you some ideas how we can add a brilliant touch to your day and give you some things to consider when choosing your wedding entertainment or venue.